This will be led by Dartmoor’s Daughter Emma Cunis. 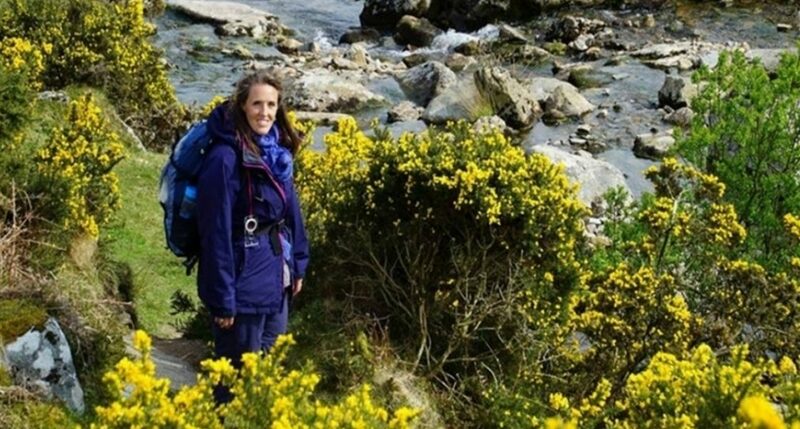 Emma is a qualified guide, whose knowledge of Dartmoor, its legend and its nooks and crannies has made her a sought after sage on Dartmoor. Her randonnees include night chorus talks, navigation and wild flowers and folk tales. Emma will be leading a 10k walk during the 10k race on Saturday morning, after all the runners have left. So if you have a spouse doing the race why not take your child along, if they aren’t at forest school.